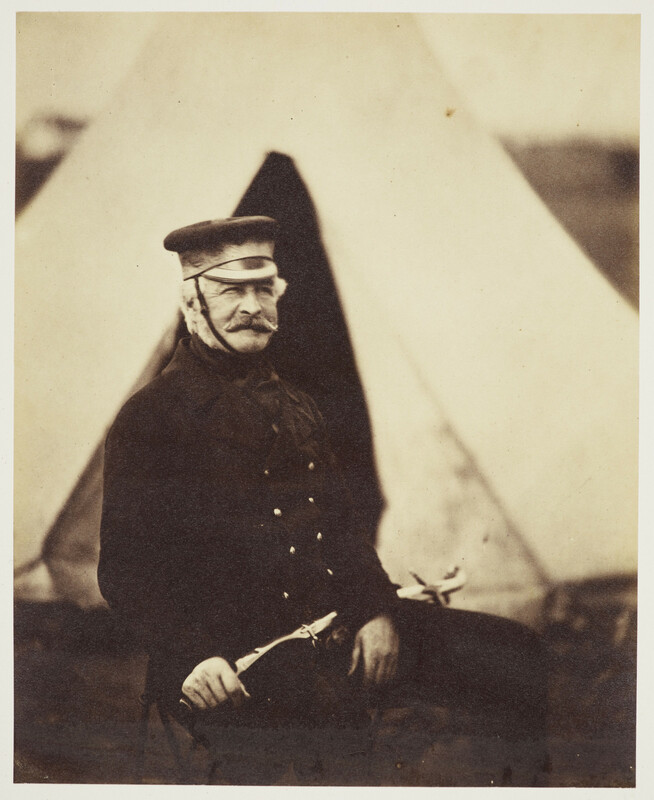 Photograph of Sir Richard England seated in front of a tent facing slightly to the right. He is wearing a peaked hat and holds his sword on his lap. Sir Richard England served as a General during the Crimean War, and was the last of the original generals to leave the Crimea. This photograph is not in the Library of Congress collection.